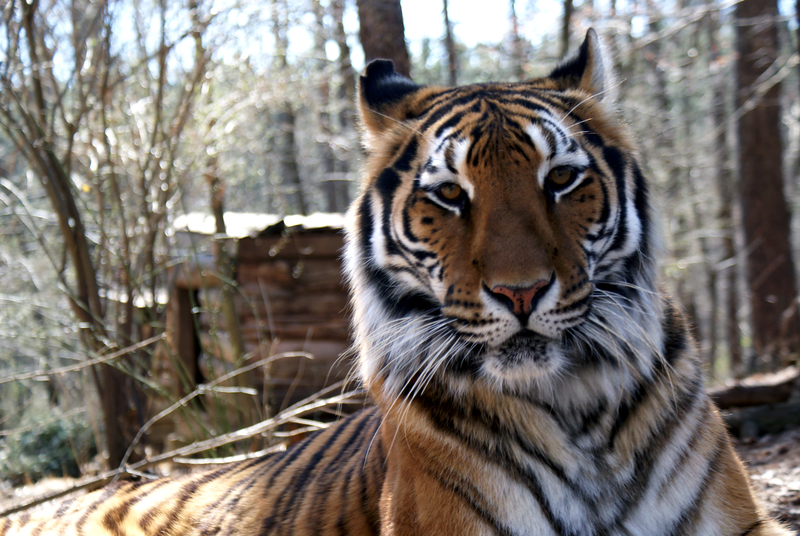 Camilla is a gorgeous and charismatic tiger who loves attention. 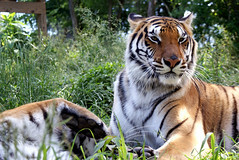 She can often be seen lying gracefully in the sun or running up to the fence to “chuffle” at visitors. 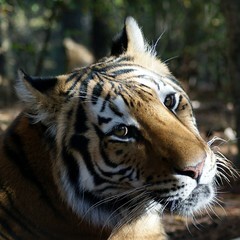 Camilla lives with Roscoe and the two of them can be found playing together in the early mornings. They stalk and chase each other before pouncing on one another like a pair of rambunctious cubs. Camilla also enjoys tasty “bloodsicles” (frozen blood popsicles) in the summer and tearing up boxes she is given for enrichment. 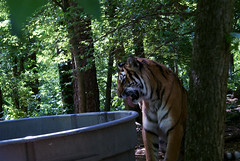 Camilla, previously called China, arrived at Carolina Tiger Rescue with Roscoe Tiger, Nakobi and Jericho Cougars, and Roman and Reina Lions on June 26, 2012. 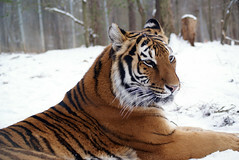 She originally came from a small zoo in New York that closed down and was then taken in by Rescue One, an Ohio sanctuary. However, Rescue One was later forced to close its doors due to financial hardship and their inability to meet new legal regulations. 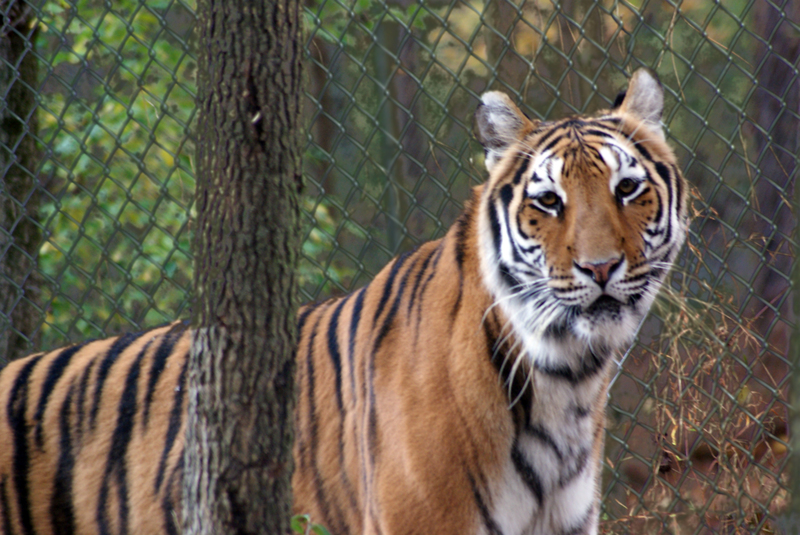 Ohio had toughened their laws regarding exotic pet ownership following a 2011 incident in Zanesville, Ohio. 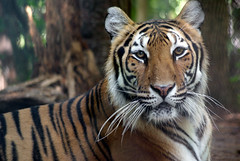 A private owner released 56 of his lions, tigers, cougars, wolves, leopards, and bears before committing suicide. 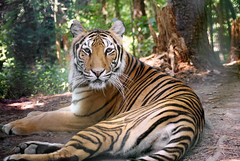 Unfortunately, law enforcement was forced to shoot the animals due to concerns for public safety. The following year, Ohio banned private ownership of dangerous wild animals. 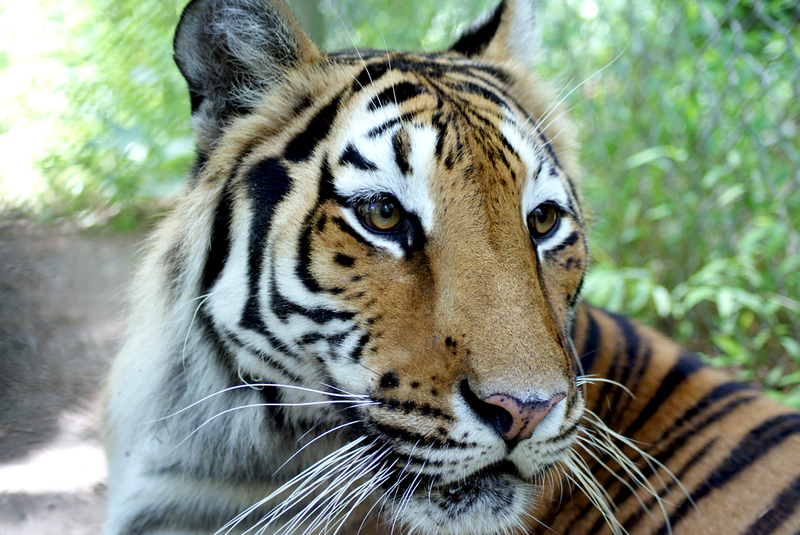 Camilla is a gorgeous and charismatic tiger who loves attention. She can often be seen lying gracefully in the sun and running up to the fence to "chuffle" at visitors. She loves people! 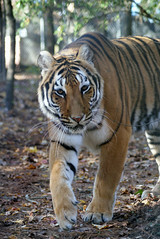 Camilla lives with Roscoe Tiger and the two of them can often be found playing together in the early mornings. 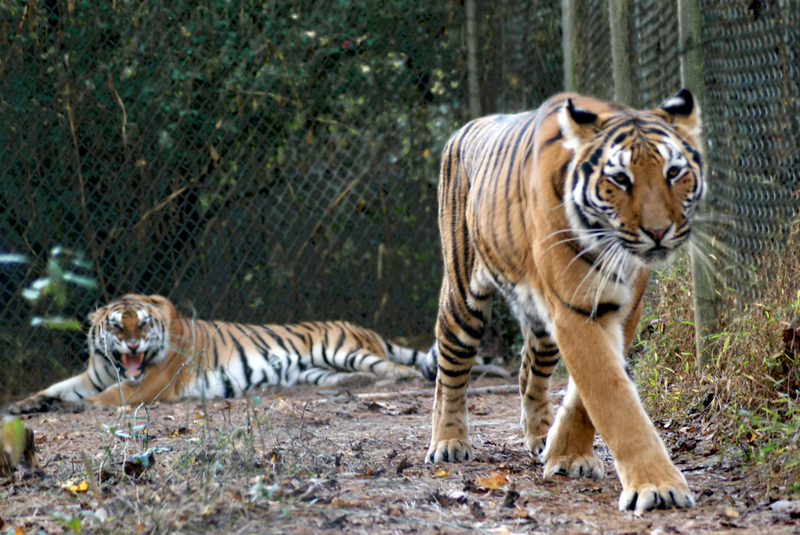 They stalk and chase each other before batting at one another like a pair of playful cubs. 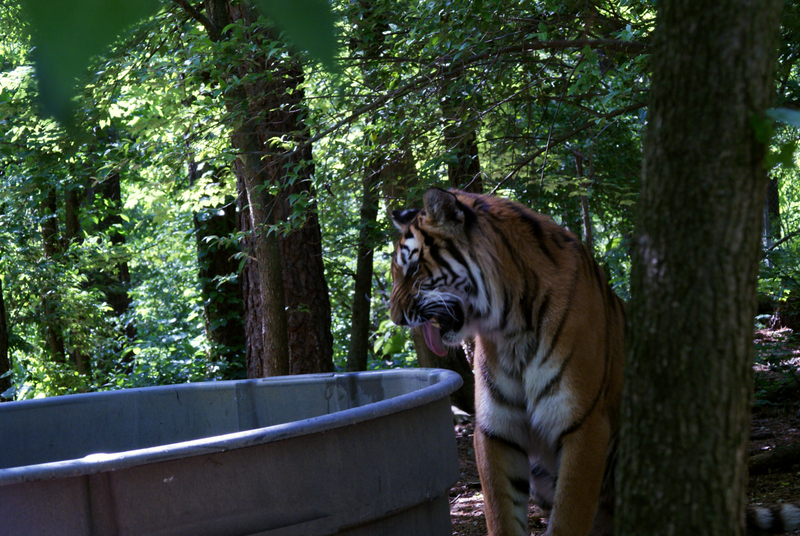 Camilla also enjoys tasty enrichment like "bloodsicles" (frozen blood popsicles) in the summer or chasing various decoys around her enclosure. 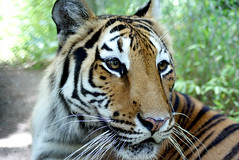 Camilla is known by staff and volunteers as a gorgeous tiger who enjoys having fun. 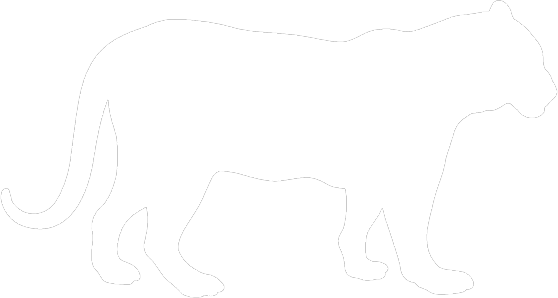 She loves to chase vultures and likes to play with Roscoe. Camilla has a very long face and lots of black dots down the middle of her pink nose. 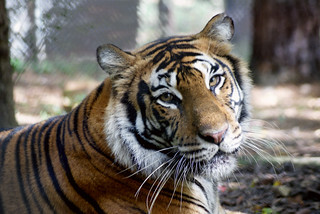 Camilla is located in Pine Forest with her enclosure-mate Roscoe. They are off tour because Roscoe gets very nervous around new and large groups of people. They are just down the path from Mila and Riley Tigers and Tasha Tiger. 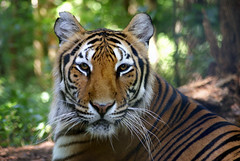 The United States currently does not have any legislation on the ownership of big cats and other exotic animals. It is left up to the states to pass legislation. 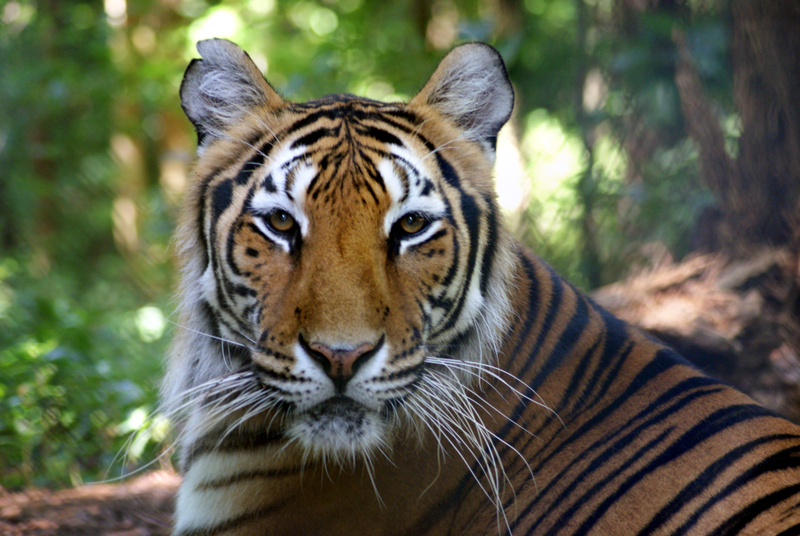 Currently, 30 states ban the private ownership of big cats, 14 require a permit, and five do not have any legislation at all about the ownership of big cats. 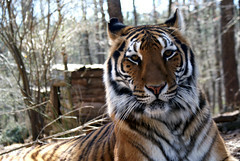 Roscoe and Camilla came to Carolina Tiger Rescue as a direct result of the changing legislation in Ohio. 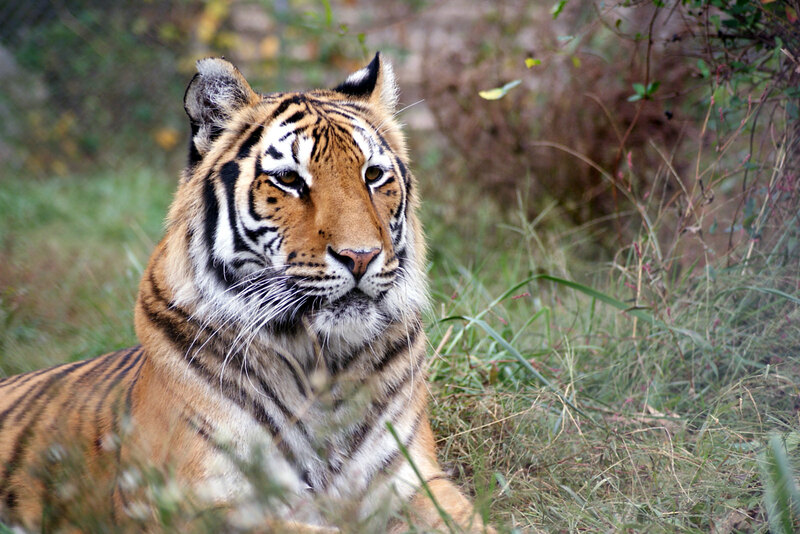 Rescue One, their former home, was forced to close after Ohio became the center of national attention when a resident of Zanesville, Ohio let 56 exotic animals loose in October of 2011. 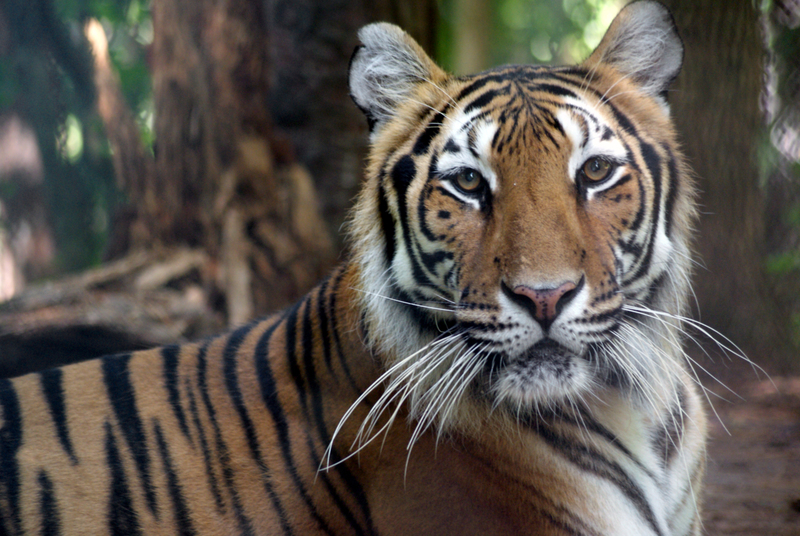 That day ended with 49 dead animals of seven different species, including 18 tigers and 17 lions. After this incident, Ohio decided they needed statewide legislation to ensure that this could not happen again. As a result, Rescue One, an organization running into financial trouble at the time, could not keep up with the changing laws and was forced to close. 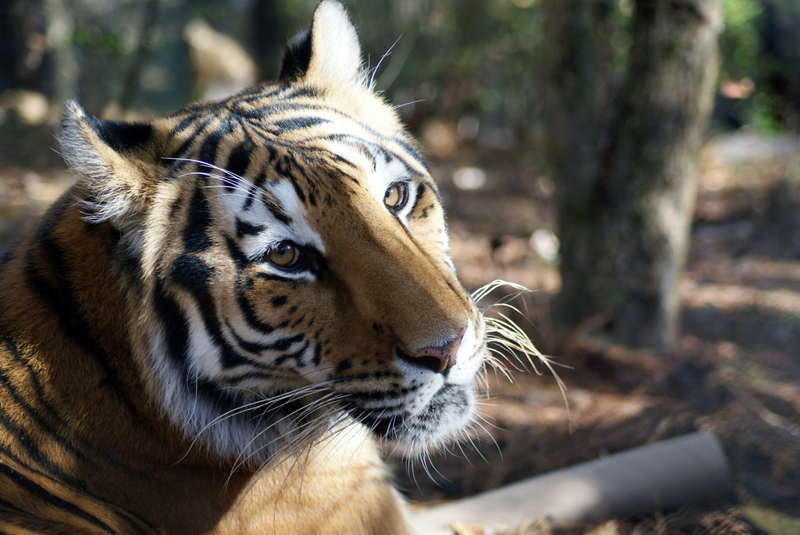 With no nationwide and, in some cases, no statewide legislation, there is no definitive answer as to how many tigers live in the United States. The estimate is that somewhere between 5,000 and 10,000 tigers live in the United States with most of these living in people's backyards or in roadside zoos. Without proper legislation, incidents like the one in Zanesville, Ohio will continue to occur.